Air France and KLM are showing a couple of very unusual prices from Toronto to Kigali, Rwanda. However, some of the flights have 2 stops each way (Paris, France and Nairobi, Kenya) - usually involving an 11 hour stop in Nairobi. There are some with just 1 stop on the way there, with a full day layover in Amsterdam (23h). It seems to be the $629 and $654 flights that have these. March to May is also the rainy season. But it's still about half of what it would normally cost. toronto, yyz, flight deals, klm, africa, eastern africa, air france, kigali, rwanda and kgl. 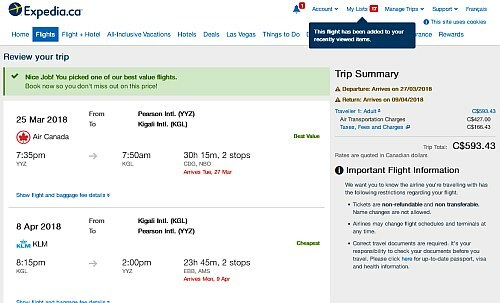 One Response to "Toronto to Kigali, Rwanda - $593 CAD roundtrip including taxes"
Love this deal, thank you! 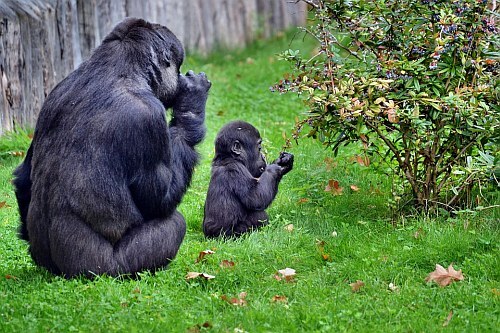 Seeing the famous gorillas of Rwanda would be amazing.